So summer is here with the explosive heat of a gun shot. We don’t have air-conditioning at home (long, boring story) therefore I’m escaping the over 34 degree heat by working in cafes. Further I promised a list of my favourite eateries to my LA cousin’s girlfriends, so here it is. Especially as it’s my belief that every traveller needs to veer off the beaten tourist track and eat like a local. Al Dente – When I want to go out for a quiet dinner, now that I can’t cook in my overheated kitchen, I opt for Al Dente. I’ve written about this charming Italian restaurant in the past. Since then it’s changed ownership , but they’ve maintained their quaint atmosphere and deliciously, fresh food standard. It’s a Jerusalem gastronomic gem that even the locals don’t know about. Anna – When I want to go to town, sit on a terrace and enjoy old Jerusalem, although admittedly with newly built high risers hugging from all sides, I go to Anna. Another Italian restaurant (home made pasta is the rave here) set in the beautifully renovated, historic Anna Ticho House perfect for timing your meal with an exhibit. Jerusalem is never just about the physical and Anna embodies this as it combines cutting edge Italian cuisine with its social agenda, employing at-risk youth in its kitchen. Again book ahead of time, I don’t go as often as I’d like because I always forget to book. Hamiznon – When I haven’t booked anywhere and I’m at the First Station, my number one dairy pick is Hamiznon. There’s a large variety of breakfast options inspired by international cuisine. Their French Toast with mascarpone cream is especially light and delicious. Kalo – This off the beaten track establishment in Bakka has a charming, vintage feel like walking into your grandmother’s parlour with all the bric-a-brac of yesteryear. They have wonderful Israeli breakfasts, fish and pasta dishes and big salads. Everything is fresh and it’s an excellent choice if you haven’t made a reservation anywhere else and want to sit and soak up the yesteryear Jerusalem ambience of Baka. Cohens Deli – Now I’m giving away a big Jerusalem secret, that even my neighbours don’t know about. 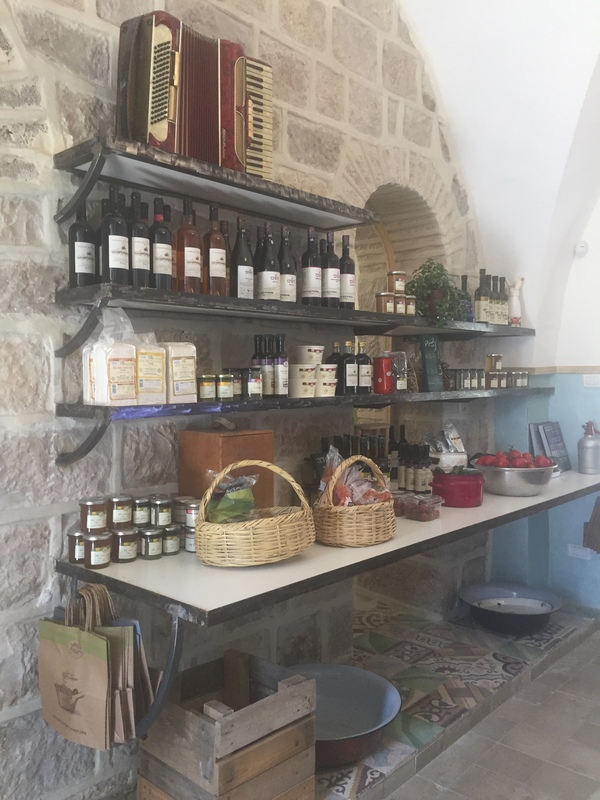 This Deli is on Hizkiyahu Hamelech and Harlap in the Katamon and Rechavia areas of Jerusalem and are run by two Israeli brothers. If you visit you may catch me grabbing a coffee and a home made chocolate. They make the best sandwiches with cheese that you can choose from a glass display of cheeses from all over the world, including whiskey cheese. Ofaimme Farm Cafe – And to finish off my list, which is by no means exhaustive or over, I have to end off where I am right now, in the lovely, newly opened air-conditioned cafe, Ofaimme, which has opened at Hansen House in Talbiya. It is again dairy with a wide menu of fresh salads, sandwiches and cheese platters, I especially love the parsley salad with pistachios and pine nuts. They also sell fresh cheeses and organic vegetables. The beauty of eating here besides the farm fresh produce, is that you get to wander around the historic setting of Hansen House which was a leper hospital in the late 19th century. This stone building is now a hub of design and technology with exhibits such as the Historical Exhibition: Behind the Wall which describes the history of Hansen House through everyday objects. I know that there are many good eats in Jerusalem, and I’m yet to visit them all, even with my ‘air-conditioning’ exile. Feel free to update this list by contributing your comments and best Jerusalem eating experiences. Add to it for the sake of my cousin’s friends, the God Squad, because I’ve left out the best meat eats (like Jackos) – I prefer milk, and everyone’s tastes differ. Just remember one thing, air-conditioning is a not negotiable must.